First things first. Here’s my approximate recipe for vegetable broth. I say approximate because it is a little different every time. I have been following a Nutritarian diet and lifestyle for the past year, so there is no added oil or salt in this recipe. Have you checked the sodium in commercial vegetable broth? Unbelievable. Mine is better, anyway. And yours will be, too. Say no to processed foods! Unless you process them in your own kitchen, of course. 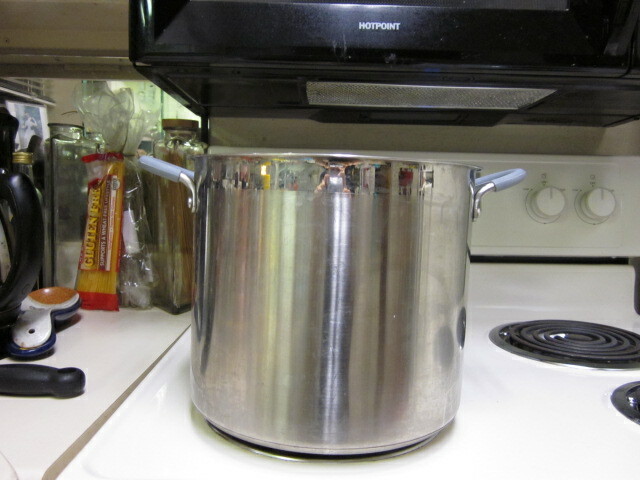 Heat a large soup pot. Add a few tablespoons of water to the bottom, then add the onion and celery. Water sauté until celery begins to soften and onions turn translucent, adding a splash of water every now and then to keep the veg from sticking to the pot. You want to sauté, not boil, the veg, so keep them moist but not floating! Add the carrots, potato, sweet potato, and mushrooms, and continue to sauté until the mushrooms begin to give up some of their liquid. Add the bay leaf, the parsley (you can use the stems, too, or not), the seasoned rice vinegar, and the 14 cups of water. Bring to a boil, then turn down to a simmer for about 20 minutes. Fini! You will end up with about 12 cups of fabulously flavorful vegetable broth. I then fish out most of the vegetables and place them in a large colander over a big bowl to drain. Find and discard the bay leaf. When most of the veg are out of the broth, I pour the broth through a sieve into a large bowl, straining out the remaining veg. I like my broth a bit on the rustic side, so there is no need to strain it through cheesecloth — although you could. Let the broth cool. I then transfer mine to quart-sized plastic storage bags, 2 cups in each one. Squeeze out as much air as you can before you seal the bag. (Don’t forget to label each bag with the date and what it is!) I like to put the bags on a cookie sheet, and slide that into the freezer. 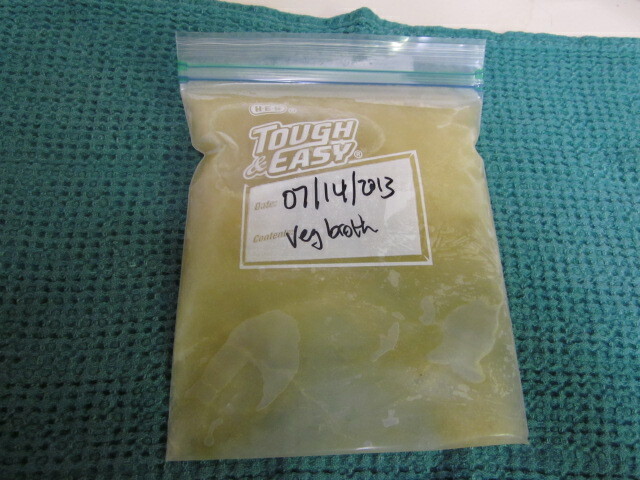 When they are frozen, they are like little file folders and can stand up, tucked conveniently in the fridge for whenever you need vegetable broth. You will have about six cups of soggy cooked veggies in your colander and strainer. Combine them and let them sit to drain over that big bowl for a few hours, or overnight. You’ll probably have at least another cup of broth that drains out. I save that in the fridge for future sauté-ing, or any other recipe that calls for broth. Onward. Divide the veggies into 2-cup portions, and pop the containers into the freezer. 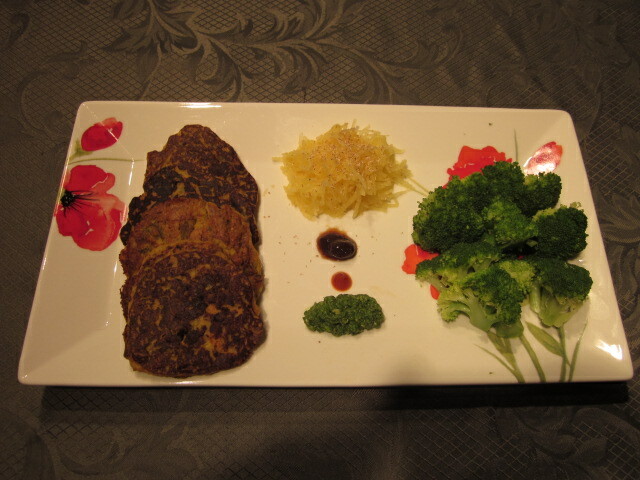 THE MAIN EVENT: SAVORY VEGGIE PANCAKES! These pancakes are absolutely delicious as a side dish or a main course. They are vegan, gluten-free, Nutritarian, and very low in fat. I added just the teensiest bit of coconut oil to the batter to make them brown nicely, and used some cooking spray on the griddle to minimize sticking. This recipe makes ten (10) scrumptious and savory pancakes. Here we go! 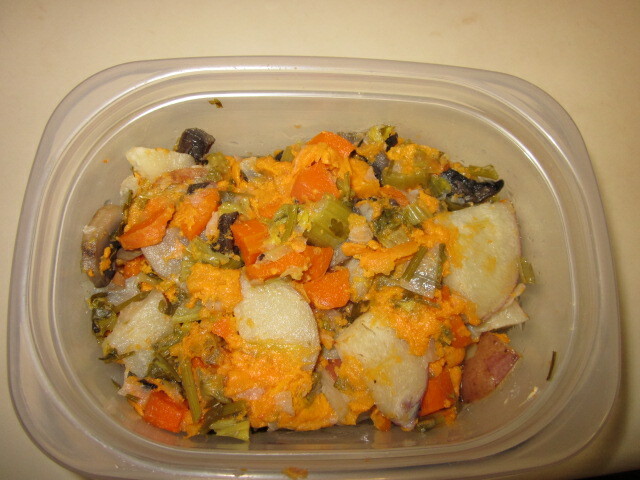 In a food processor or sturdy blender, place 1/2 to 3/4 of the leftover cooked vegetables into the container, and process until smooth. 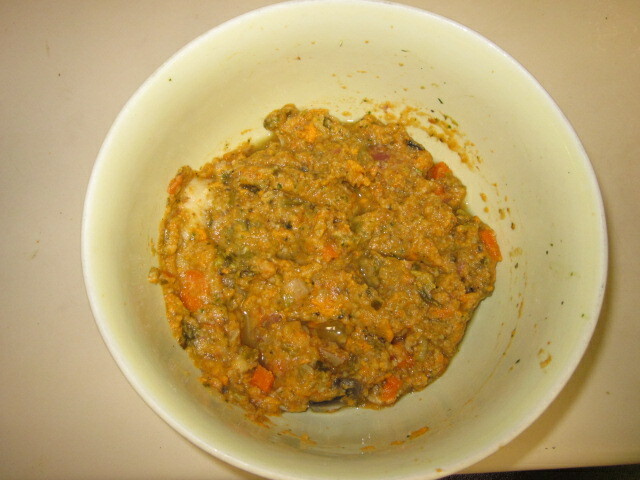 Transfer this mixture, and the remaining vegetables, into a large mixing bowl. It will look kind of gross, but don’t worry. Fold in the flour, seasoned rice vinegar, spices, and oil, until well combined. Begin to add the vegetable broth, a tablespoon or two at a time, and continue to combine. Add broth until the mixture is the consistency of chunky pancake batter. Even if you like your regular pancakes a bit on the thick side, you want this batter to be a bit more thin, yet not runny. Thinner pancakes will heat all the way through. 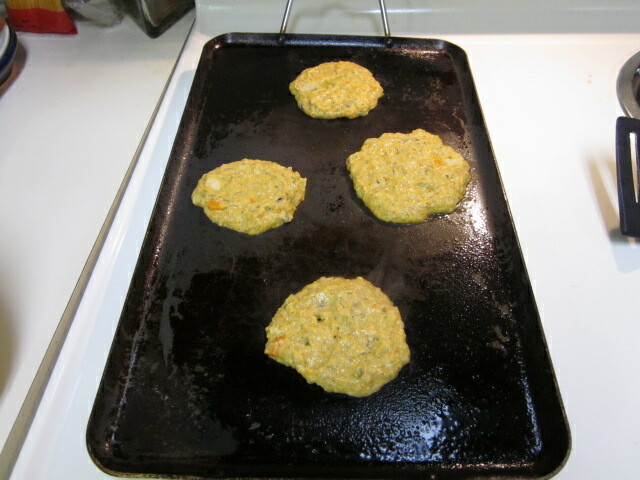 Heat the griddle or a large pan until a few drops of water will spatter on it. Spray it with cooking spray (I used Trader Joe’s organic coconut cooking spray). Use a 1/4 cup measure to pour the batter onto the griddle. Use the back of your ladle, or your pancake turner, to flatten them down a bit. Let the first side cook for about two minutes. When the edges begin to sizzle and firm up, flip each pancake to cook the other side. Be patient. If you try to flip the pancake too soon, it will stick to the griddle AND fall apart. I dip my pancake turner in a container of water between turns to cut down on the stickage. The second side will cook a bit more quickly than the first. Remove pancakes from the griddle to a serving plate, and keep warm. Using a scant 1/4 cup of batter per pancake, I got 10 pancakes out of this batch. Serve with your favorite savory topping. I served them with cilantro pesto (my fabulous no-added-oil pesto), some tamarind chutney we happened to have, and Sriracha! Use any kind of flour you like. The texture and flavor will be a bit different, but hey, that’s what keeps things interesting, right? Likewise with the oil, although be sure to use the smallest amount possible. I think a lighter flavored oil would be best, in any case. You could also vary the seasoning profile, using ginger, soy, and garlic instead of the original spices, and top with Thai-style peanut sauce. Another variation could be Italian spices (oregano, thyme, basil) and serve with a chunky tomato sauce or basil pesto. I think the next time I prepare this, I will use garam masala and go all South Asian up in here. The chutney, or (non-vegan) a lovely yogurt raita would be fantastic. Lots of possibilities. This is a new favorite at our house. If you try it, let me know what you think! Let's chat to get to know one another, and to find out where we might begin our work together. Get comfy and give me (MaryBeth) a call at 713.622.8794. What happens during the free consultation? Find out here. Not many e-newsletters are moving, stimulating, and appetizing. THAT'S WHY you want to subscribe to the MoveSleepEat occasional news, you know you do. Click here. Your email address AND your privacy are safe with me. Sounder Sleep System® is a registered trade mark of Michael Krugman. 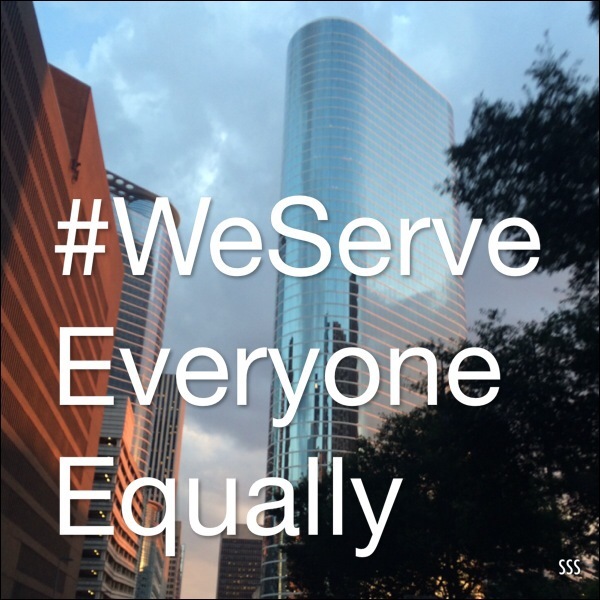 MoveSleepEat.com is a division of the Feldenkrais Center of Houston. Information provided by MoveSleepEat.com is not to be taken as medical advice. You are responsible for your own health. Please consult with your physician before making dietary changes, and to make sure that you are healthy enough to exercise. The nutritional and other information on this website are not intended to be, and do not constitute, health care or medical advice. Our website is lovingly designed by SuperSimpleSocialSolutions. Creative Commons Licensed image by Quiltsalad, via Flickr.